The first manned flight may have been in 559, when the Emporer’s son, Yuan Huangtou of Ye, China was forcibly strapped to a kite and set airborne from a tower. Yuan Huangtou was later executed, and this experiment did not lead to any follow-on. The French Montgolfier Brothers designed and took off in a hot-air balloon in 1783 (with others), which is credited as the first manned free-flight. In 1891, German Otto Lilienthal flew in a glider. By 1898, internal combustion engines were powering airships (dirigibles) designed and flown by Brazilian Alberto Santos-Dumont. Numerous other pioneers made attempts. Two bicycle mechanics, better known as the Wright Brothers then changed the world in 1903. The history of flight passed briefly through Minnesota on a couple of occasions. Charles Lindbergh grew up near Little Falls, Minnesota. He of course was a leader in the Nazi-sympathizing America First pacifist movement. This was not helpful in the War effort. However, the relationship of Minnesota and Germany and aviation has another interaction. Coming to the US as an observer to the American Civil War representing Wurttemberg (Germany was not yet unified), Count Ferdinand von Zeppelin decided to explore the North American frontier (See Botting (2001) for discussion of the history of the Zeppelin Company). While staying in St. Paul, Minnesota, Zeppelin encountered a fellow German who had served for the Union inflating a hot-air balloon. It was here Count Zeppelin first went airborne in 1863. The rest, as the say, is history. Almost half a century later (1909), the Zeppelin Company he founded was facing financial difficulties selling airships to the German military, and decided to start an airline (DELAG). While it was not at first as successful in organizing regular service, it did provide some (with logistical support from the Hamburg-Amerika steamship lines), marking the first commercial airline. By 1914, DELAG had made over 2,000 flights, totaling 100,000 miles (160,000 km), carrying 34,028 passengers. World War I changed the nature of airship use, and the German military’s interest. By war’s end, almost 100 airships had been used for the German army and navy, and more than half were lost, indicating lower success than hoped for, and significantly underperforming airplanes. Still, the Americans showed some interest, and after the War, the US Navy ordered some airships from the Zeppelin Company as part of reparations payments, to the anger of some Germans, who disapproved of the technology transfer. An assassin skulked Dr. Hugo Eckener, famous dirigible pilot and the manager of the Zeppelin Company. 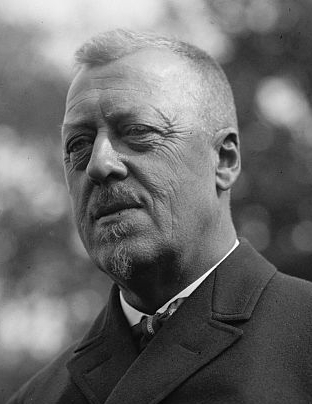 Eckener was so prominent in post World War I Germany he almost stood for President against Hitler. But stepped aside when President and war hero Count von Hindenberg chose to run again. Had the anti-Nazi Eckener run (and won of course), he may have proven himself far more competent and avoided the subsequent rise of Hitler altogether. So St. Paul gave Count Zeppelin his first balloon flight and infected him with the aviation bug. Zeppelin gave Eckener his position with the company and the opportunity to become nationally regarded, and Eckener may have stopped the rise of Hitler. Prior to the 1938 LZ 129 Hindenberg (named for the Count) disaster in Lakehurst, New Jersey, no passenger had died due to a crash of a Zeppelin airship. Transatlantic Airship travel was not doomed due to this one well-publicized crash, but rather to the rise of Pan American Airways flights, which were much faster, though less comfortable. Though there was an attempt to convert future airships (such as the LZ 130 Graf Zeppelin II) to Helium rather than Hydrogen, the US government withheld Helium supplies under the 1937 Neutrality Act. Adapted in part from The Transportation Experience, 2nd Edition. of Transport and Land Use. Does public transit use increase the economic efficiency of urban areas? sociology, architecture and design, network science, and complex systems.